So this week my parents sent me two records, Elliot Smith and Either/Or. Both albums are by Elliot Smith. I have been an Elliot Smith for about a year after a girl I was friends with High School showed him to me. His music is very interesting, but I have to be in a certain mood to listen to his music. His music, like him, is super depressing. He lived a short and sad life, and it comes through in his music. Elliot Smith lived a very sad life. He was sexually abused when he was younger and this caused him great physical and mental strain all throughout his life. This mental pain caused him to go towards drugs. He became addicted to heroin and crack as well as other amphetamines. This addiction affected him throughout his entire life. He was also diagnosed as suffering from depression, anxiety, and bipolar disorder. This put him on a massive amount of medication to try and solve this. This combined with his self medication of heroin and uppers made him feel even sadder. This sadness is evident in a lot of his music(so is the drug abuse). His death was just as tragic as his life. Elliot Smith finally sobered up. He successfully completed a drug rehabilitation program and was sober from the illegal drugs and was cutting down on the prescribed drugs when his life was cut short. 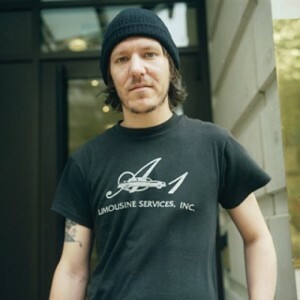 Elliot Smith committed suicide by stabbing himself multiple times in the chest with a kitchen knife. This is an extremely painful way to die and shows the extremeness of Elliot’s problems. It is extremely tragic that just when he quits doing harmful illegal substances, he succumbs to his depression. These two albums are pretty good and listenable to most people. I put them on a lot when I’m doing homework and need just some background music. The slow style and tenderness of the music makes it ideal to just have playing in the background. If I do pay attention to the lyrics I realize just how sad the lyrics truly are. I usually only listen to it late at night or if I’m in a really sad mood. The albums are truly works of art. My favorite song is needle in the hay. It is a sad song that talks about Elliot’s Smiths heroin use. The song is written to his younger self from his older self. It talks about the things that got him to use drugs in the first place as well as the fact that his younger self doesn’t understand drugs. The last part of the song talks about the release that the older version of himself gets from using the drugs. The lyrics are meaningful and delivered in a sad and ominous way. Their is no hope of getting better. Other great songs include between the bars, say yes, Angeles, and somebody that I used to know. Elliot Smith really did have a hard life. In some ways, it’s what makes a work or art so unique when all the emotions of the artist is captured in a song, poem, painting, etc. The song is really slow and has a sad tune to it. Although, I was just wondering what a needle in a haystack meant. Did it mean himself, being so lost and unable to be saved/found?